We are aware of an intermittent issue when using the LiveTrade dashboard with Microsoft Edge / Explorer browsers affecting the real time data refresh and therefore recommend to use another browser. You need to log in to trade. Sorry, your account is not currently set up to allow trading – but help is at hand. or click on the Jivochat box below and we will respond as quickly as possible. The total net price is greater than your Headroom (£). Please contact us on +4420 7269 0703 (UK) or +852 2504 1122 (HK), send us an email or click on the Jivochat box below and we will respond as quickly as possible. The order book has changed, click on retry to view the updated order book. This wine is not currently available for broking/trading because it hasn't been fully paid for. Please visit the Make a Payment page to see your outstanding invoices. A client is considering purchasing this line of stock therefore it can't be updated nor removed from the broking platform at the moment. 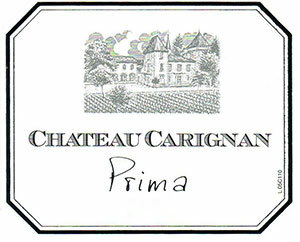 Their special cuvée, the 2005 Prima, has a very dense ruby/purple color and a big, sweet kiss of black fruits, earth and spice as well as a cedary nuance to the aromatics. This medium to full-bodied, rich wine is a real star and a sleeper of this vintage. Drink it over the next decade. The wine has been added to your order. Please carry on trading or go to My Basket to confirm. Please continue shopping or go to My Basket to confirm. Your instruction has been processed and a confirmation has been sent to your email address.